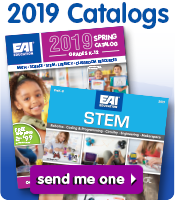 We've taken the guesswork out of finding materials to help implement the Common Core in your classroom by reviewing over 6000 products and handpicking those that are specially tailored to fit its demands. This collection of hands-on manipulatives will complement your lessons and help you provide clear and consistent goals for learning, ensuring that your students have the skills and knowledge needed to be successful in the future. For more information on the Common Core, including detailed specifics on each standard, visit the official website: corestandards.org.